I feel inspired to pay tribute to Barbara Stanwyck today, on what would have been her 102nd birthday. She’s one of my favorite actresses, partly because while her efficient, regular Jane persona made you want to refer to her as “Babs” or “Stanny”, she was also was such a towering, forceful talent, that you might also be inclined to bow to her and call her ma’am. There are bad Stanwyck movies, but not bad Stanwyck performances; she was regular in that way as well. In this brisk pre-code, Stanwyck is the daughter of a small town preacher. When the insensitive actions of his congregation lead to his death, his furious daughter goes on the war path. Stanwyck berates her father’s parishioners with shoulder-rattling rage so powerful that she ends up clearing out the church. 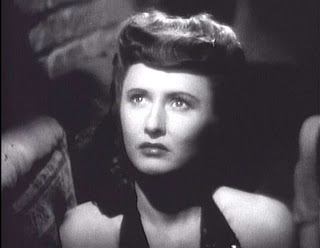 Here’s proof that right from the beginning of her career, Stanwyck was a mesmerizing performer. 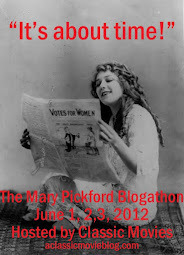 This time Stanwyck’s lousy father gets a piece of her mind. Fed up with his trying to pimp her out to his speakeasy customers, she berates him for destroying her life with fire-spitting fury. Not long after, he blows himself up in his still and she takes off for the city to make her fortune by turning the tables on the male race. Yet another bad father raises Stanwyck’s ire in this gloomy, symbolic western. Papa Walter Huston has her lover hanged and it is enough to kill his daughter’s life-long admiration for him. Sitting tall on her horse, she unleashes a tirade that is only the start of her bitter quest for revenge.